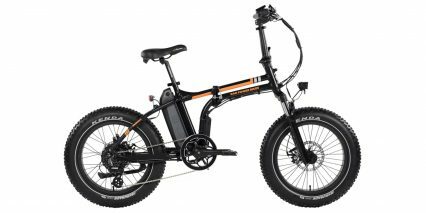 INNOVA All Terrain, 20" x 4"
The RadMini is an impressive electric bike… because it folds, is super powerful and rides a lot smoother than other small-wheeled ebikes I’ve tried. While the rims are ~20 inches in diameter the tires are four inches thick so you end up with improved attack angle and a soft cushiony feel. 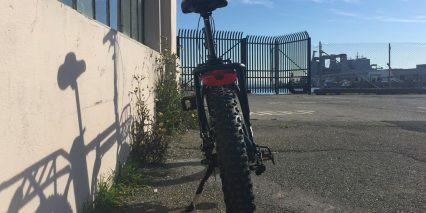 This is important if you actually plan to go offroad but also comes in handy for bumpy pothole-filled streets like some of those in San Francisco where I got to test this bike out. 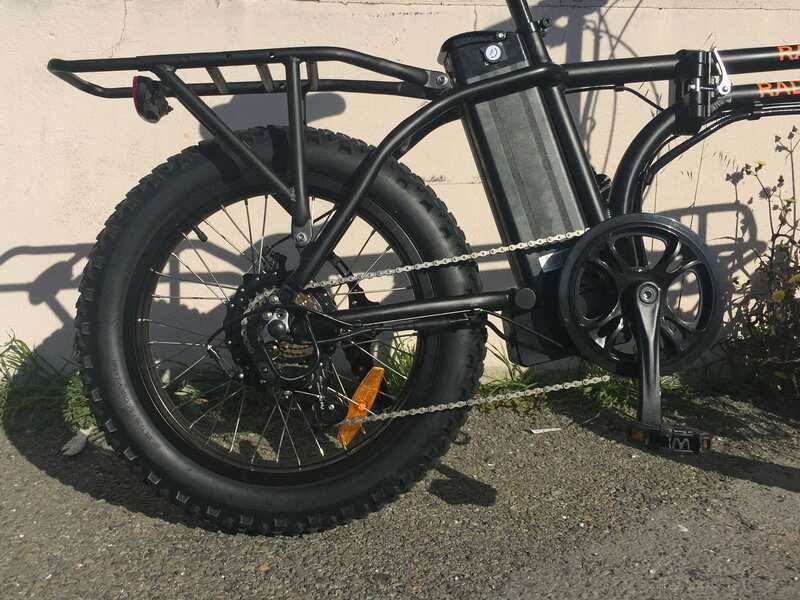 The motor powering this mini-beast is a custom configured 750 watt fat bike specific geared hub from Bafang. In the video I mentioned 500 watts but it sounds like the company has been working on a refined “final version” for production with custom firmware and even more power. 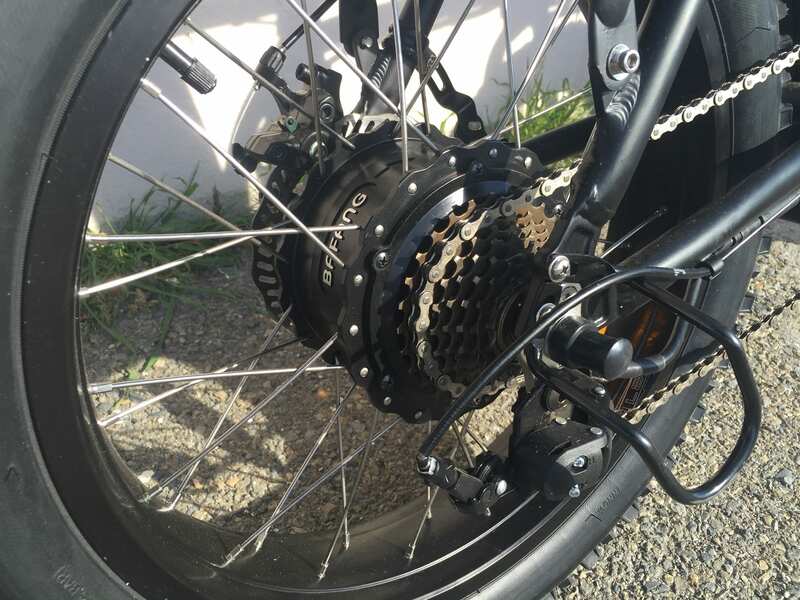 You can activate it immediately with the twist throttle in any of the 0-5 pedal assist levels or if you want to avoid accidentally zipping away you can disable it completely with a red on/off switch built right into the throttle mount. In my opinion, it’s the perfect offering because you are in complete control. 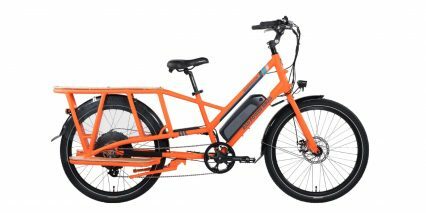 If you want to pedal along, the bike offers seven speeds and the lower levels of pedal assist are quieter and slower but still extremely responsive. 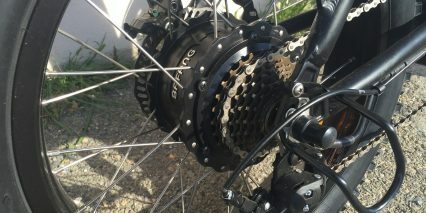 This bike uses a 12 magnet pedelec system that truly impressed me (see the bits in the video where I demonstrate how it switches on and off). And because it’s a cadence sensor vs. a torque sensor you don’t really have to push super hard once it’s moving and the throttle can help you get going from standstill so even with a loaded rack it shouldn’t stress your knees. 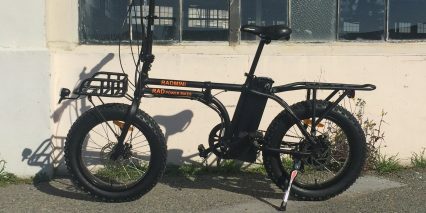 Rad Power Bikes started on Indiegogo in 2015 with their RadRover model and has since launched a cargo bike as well. 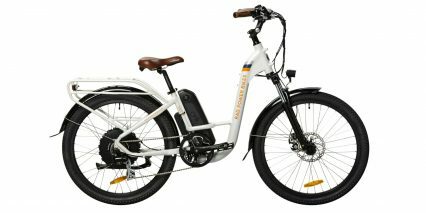 They are known for delivering more affordable bikes with higher power and have a decent one year warranty for the original owner. I got to meet the founder last year and spent time with two reps for this review so it appears the company is expanding and healthy. One downside here is that they mostly sell online (unless you can make it to Seattle to their showroom). 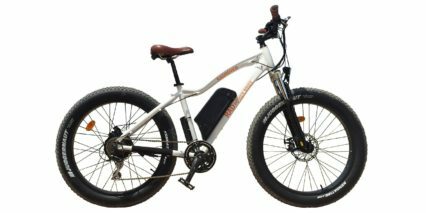 This means there is some assembly and tuning required and that you can’t test ride before you buy usually. 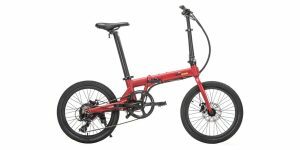 The RadMini is less of a mini sized folder compared to other bikes I’ve tried and that’s great if your’e a taller or larger rider. 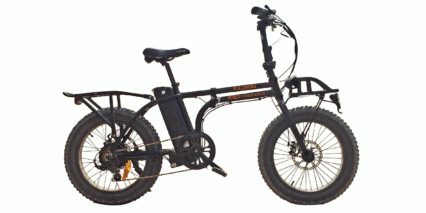 For me it felt comfortable to pedal and less squished and I’m about 5’9″. 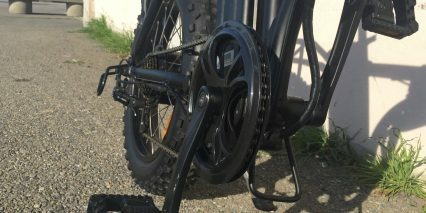 The front wheel, battery pack and even the racks can be removed if you really want to reduce weight for lifting and I love that the battery can be charged on or off the frame… but not that the key has to remain in during operation. 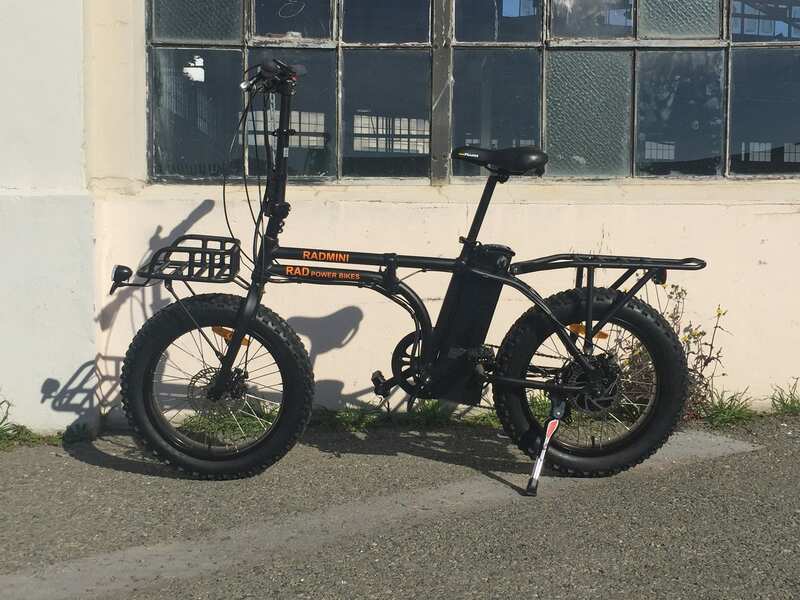 The fact that this is one of only two fat tire folding bikes I’ve ever seen in person makes it very unique but the racks also add something special. The rear rack is sturdy and wide for use with a trunk bag but also extends horizontally for longer loads… I’ve rarely seen that sort of design before. Rad Power Bikes sells water resistant nylon panniers that I got to look at for the video review and they attach using velcro straps vs. clips. 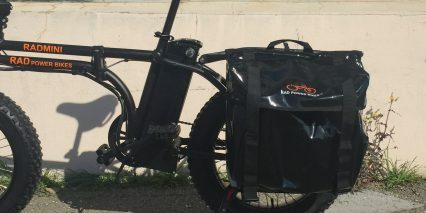 This is an important point, many of the clip-on panniers won’t work with the thicker tubing on this bike. There was enough tubing down the sides of the rack that the pannier mostly stayed clear of the tires, spokes, brakes and derailleur but it’s not perfect and the fat knobby tires may rub from time to time. 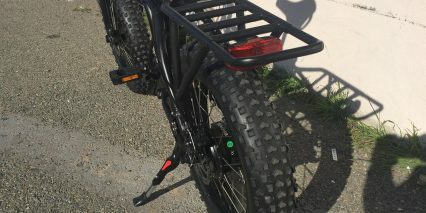 The front rack is neat but because it’s attached to the fork you may notice some impact on steering and could dump your cargo when parking as the bar swings from side to side if you don’t hold it steady. 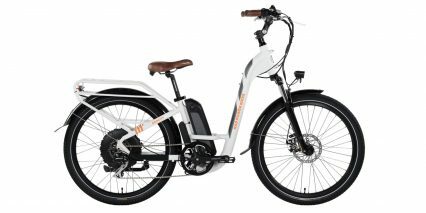 The big takeaway for this bike for me is that it’s powerful, easily hitting 20 mph, and offers solid components like 160 mm mechanical disc brakes… even front and rear lights (though only the front is integrated). 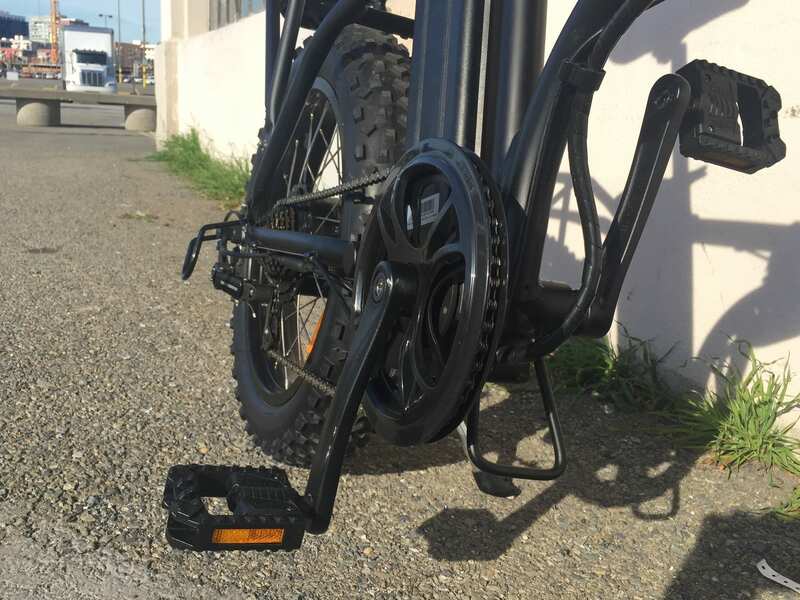 As a folder, you do get some downgrades like the plastic folding pedals which aren’t especially wide or stiff but they do stay compact and pedals are relatively affordable to replace, I’d get some Wellgo magnesium platforms myself. 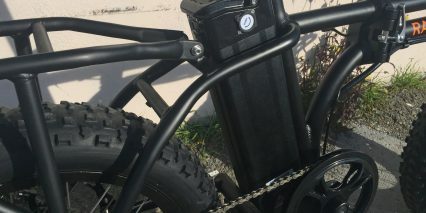 The frame is sturdy… but heavy, and despite the double tubing there can still be some lateral flex (especially with panniers or a cargo bag adding weight) but I love the safety locking features on both fold points. It’s not going to come unfolded easily even if you bump it during the ride or don’t tighten it down enough. Note that the display panel, while large and easy to interact with, is not removable so take care not to bump it while folding and transporting… and also note that the frame may clink itself when folded (due to the larger racks protruding from the sides). Consider some black duct tape or rubber bumpers to reduce scratches and chips if you plan to transport this thing regularly. 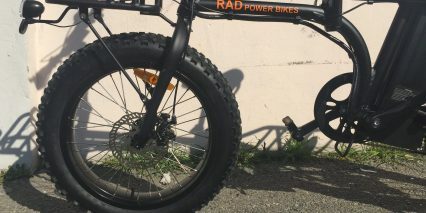 Even as just a more compact fat bike I had a lot of fun on the RadMini, the center of gravity is lower making it easy to mount and the bouncy tires reduced the need for suspension along with the cush saddle and basic ergonomic grips. 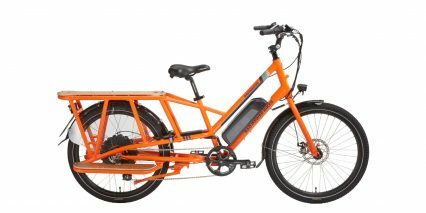 In my experience this is a large battery, especially for a folding ebike. You get over half a kilowatt hour here and should be able to go 20+ miles per charge. 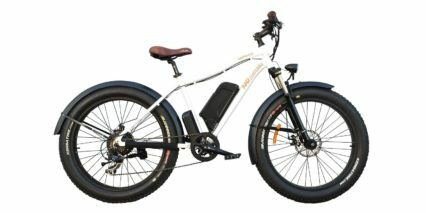 The price is also very low given the power of the motor, unique design and warranty compared with similar offerings on the market right now. I’m digging it. Great price point for that motor and battery size. Court, what’s your opinion on a Lithium nickel cobalt aluminum battery? 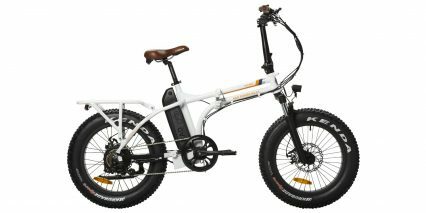 Yeah, it’s a solid and fun little bike (barely little…) can’t say much about that specific battery chemistry you’ve described but most Lithium based derivatives I have tested perform well and offer good energy density plus lifespan. The Aluminum component is what’s unique here, I’m used to Lithium Magnesium Cobalt I think? What sets the battery you’ve described apart? Easier to mount and dismount. May even be used by my petite wife, or so I hope. 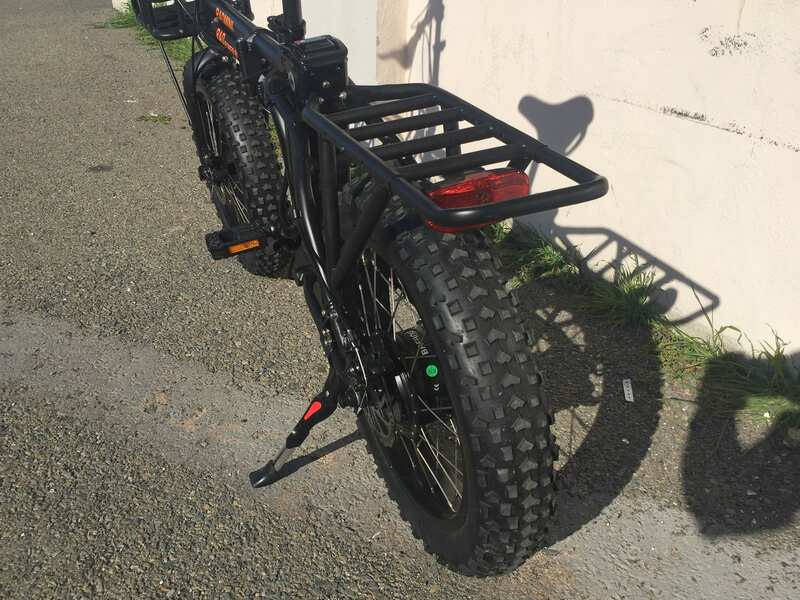 What fenders would fit that bike? There is mud here. 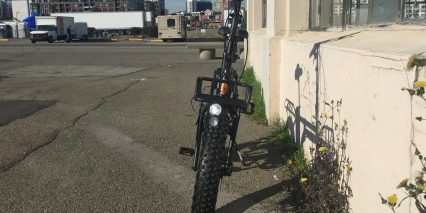 What container would fit the rear rack? I know one can improvise with a milk crate and such, but I hope there is a more elegant solution. Court mentions something at Amazon, but I did not catch what that was. Thanks for your excellent reviews. including this bike! For fairness sake: folded Phantom does fit (mostly) into the trunk of my Hyundai Sonata, but you can’t close the lid, and my back yells at me every time I do that. I hope you enjoy the bike Vlad! 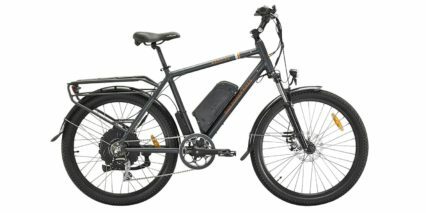 Great suggestions, hopefully the Rad Power Bikes team will see them here :) I’m on the go right now and can’t point out any racks and don’t remember what I was thinking at the time, I do like their pannier bags but they are sold out right now. Maybe something like these? Good call on the fenders too, it can be difficult finding ones that work after market so this would be cool to see from Rad. Hi Court and Vlad, This basket fits nicely in the space available in the front rack of the RadMini. Note that this does not come with mounting hardware so adapting it to safely attach may require some additional brackets, clamps, etc. 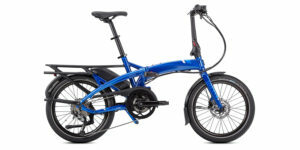 Regarding weight, the front and rear racks are optional, and removal can take a nice bite out of the total weight if they are not needed. Removing the battery prior to loading also cuts down on this. 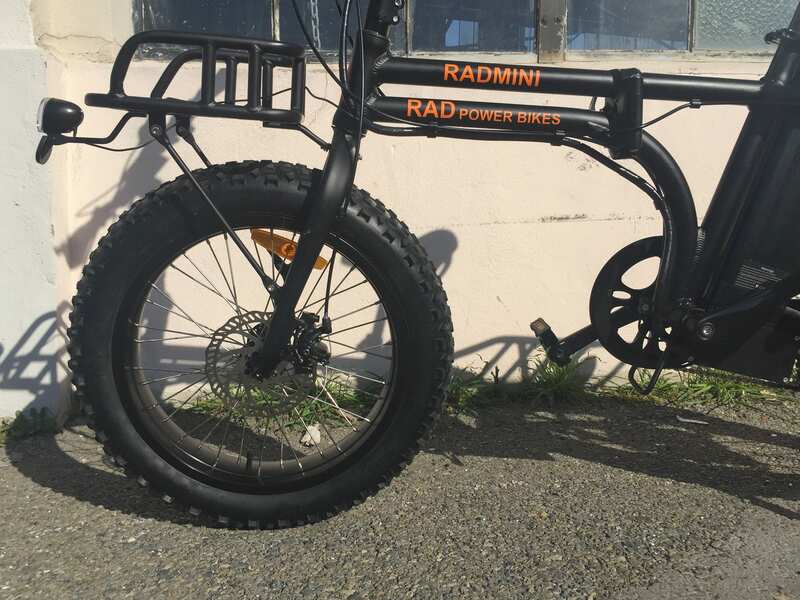 RadMini specific fenders are in the works, but some customers have been adapting Dave’s mud shovels in the meantime. 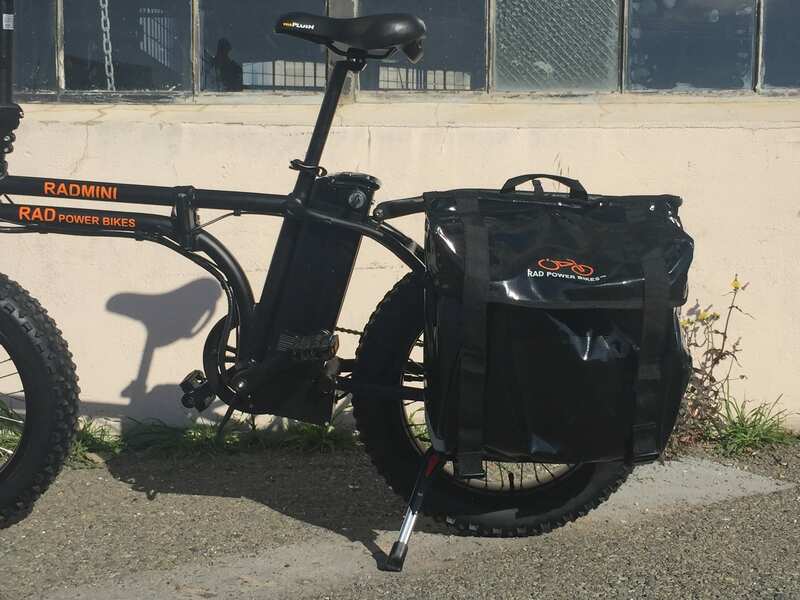 The basket I linked to on my last comment does not actually fit, as my personal sample bike used a steel front rack, but the wider OD aluminum tubing on the production RadMini does not accommodate the Wald 585 basket. 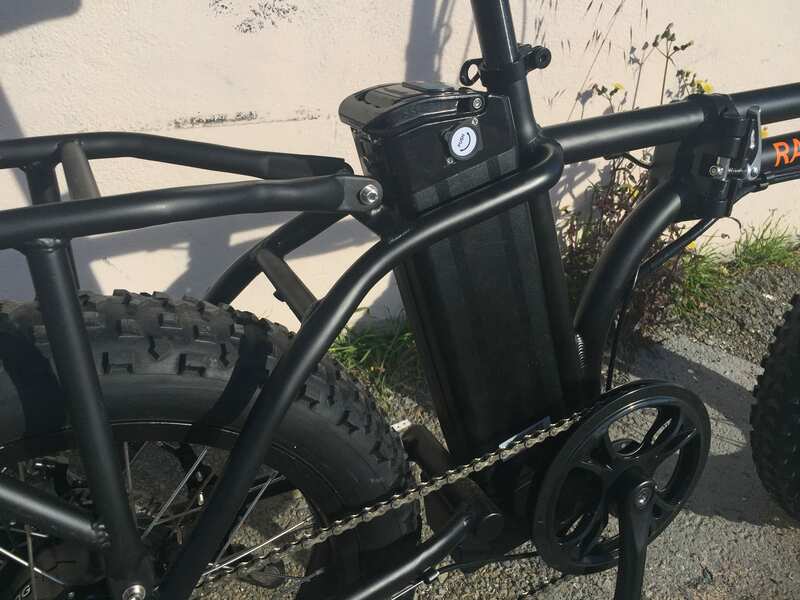 That basket is a great fit on the rear rack but required us to get some extra mounting hardware because what is supplied from Wald is not a match for the RadMini. Court, thank you for the suggestion of cargo bags. I usually only take my lunch to work, but sometimes need to do some shopping on my way home. This seems perfect for this kind of usage. Thanks for the great review! 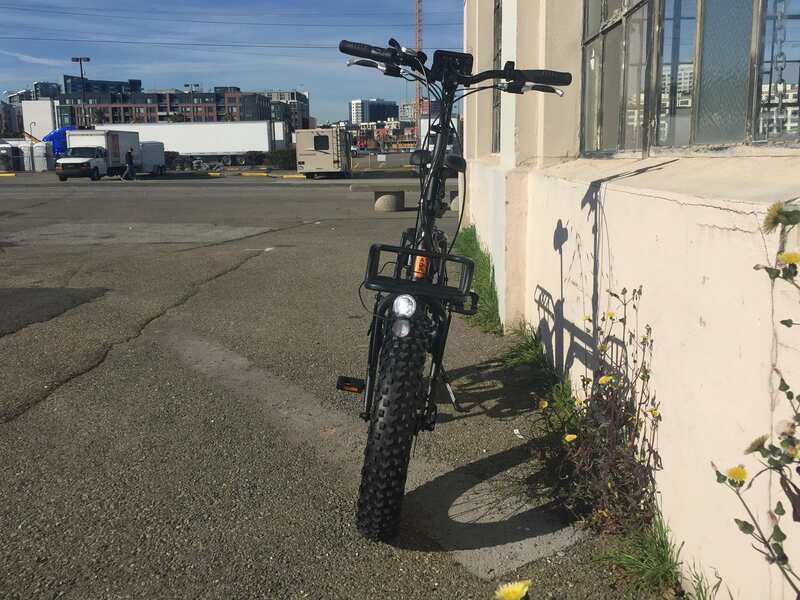 When the mini bike is in folded position, is it possible to wheel the bike around instead of lifting it up? My fiancé probably won’t be able to lift 60 pounds. Thanks! 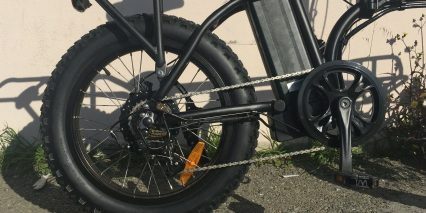 The design is getting closer to my nirvana bike: fat tire, folding, electric, light-ish (Al/Ti?) 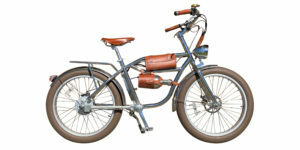 but most importantly ( few seem to have designed for this yet ), a “Pibal style” bike/scooter hybrid. ( just google “Pibal bike” for images). 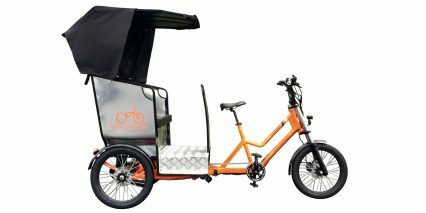 I like in NYC which is awash in electric bikes as food delivery vehicles… Many have bolted on boards or plates to allow quick hop on/hop off capabilities, and they are often ridden more like scooters. Ever see an “electric scooter/bike hybrid” like Pibal’s design? Ever see one that folds? Cool! I’ve never heard of Pibal style before Todd but just did an image search on Google and see what you mean. 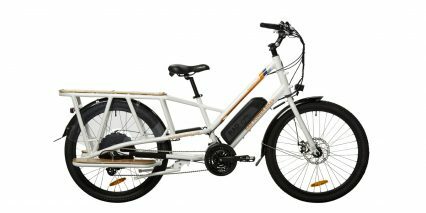 One ebike I have covered in the past that looks a bit like the images I found is the Pedego Boomerang, have you seen or heard of this one before? 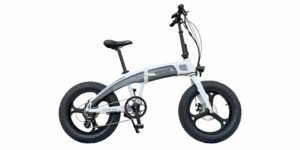 I have seen the Pedego Boomerang (chased one a block in NYC to get the name on it!). Still tough to fit in a Manhattan apt or a car trunk (non folding). Hoping a bike designer gets a majority of these attributes at some point. Rad could do it all with a different/inverted frame design. 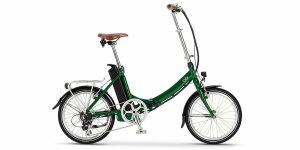 Separate question: Heard anything further on the electric bromptons (made by brompton, not aftermarket)? Just ordered mine when they came back for a short time on the 10th. Hoping to turn it into a fun ride for me and 2 small dogs! I am kind of wishing I went full size at the moment but I think this design is top notch and will be worth upgrading in the future. 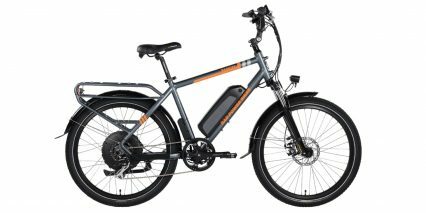 Well Court, I think you helped me successfully love my first E-Bike. 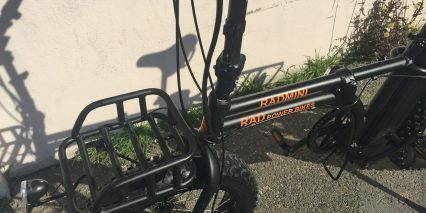 Thanks to your site and awesome reviews, I got to be one of the first owners of the Radmini! Please keep up the great work! 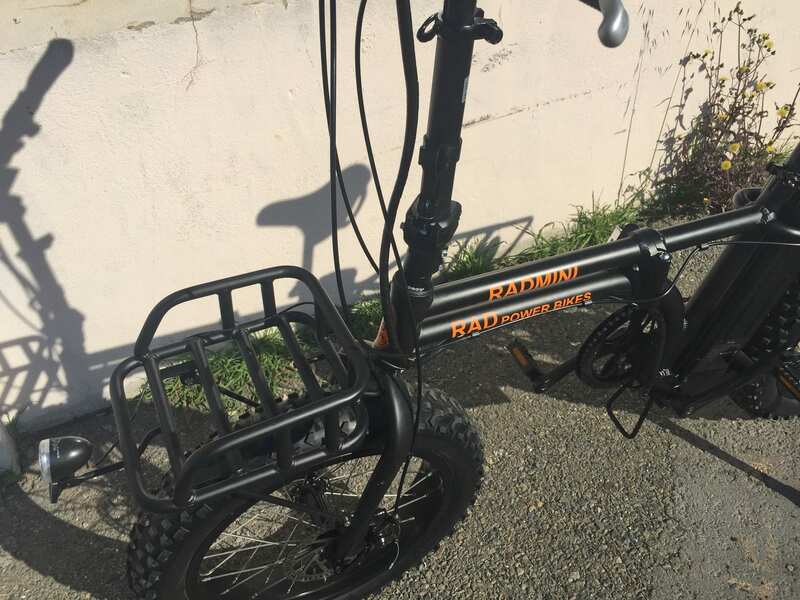 I saw your video review of the Radmini (Thanks!) and ordered one when a batch of 50 was released recently. It’s supposed to arrive in a few days and I can’t wait. 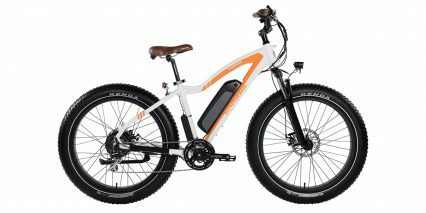 This will be my first electric bike. 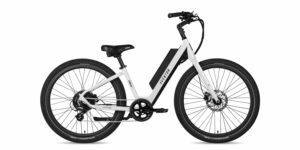 I was avid rider in my my teens and twenties and now that I am in my forties I’m hoping this bike will be a gateway bike to get back into riding and back into shape. I only went for the folder hoping it will be able to fit in the trunk of the car for easy transport so I’m not overly concerned that its heavy. 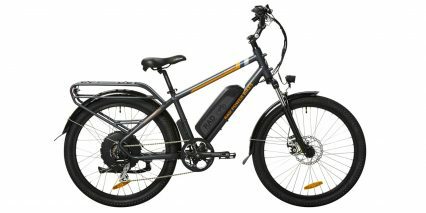 My thinking is that I’ll be able to use this bike with with low or no pedal assist for exercise but if (when?) I run out of steam or my knees get sore I’ll be able to boost the assist to make the return trip in relative comfort. 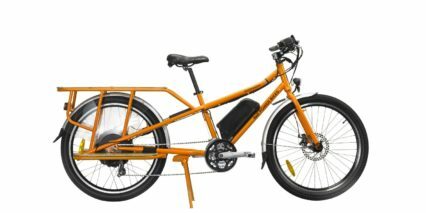 Based on your review I imagine I’ll probably leave the front rack off and look for a rear bag that can hold a water bottle. I too, am wondering about adding fenders. 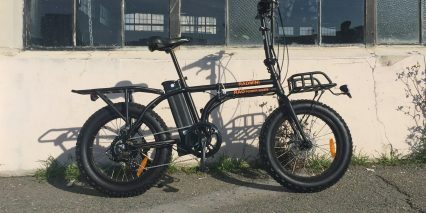 It’d be nice if Rad Power Bikes added the option to delete the front rack add fenders at the time of order in the future. Bought a bundle, black and white, my wife and I love them here in SoCal. White one has some sort of microprocessor issue that makes peddle assist and throttle malfunction … Kind of a bummer. RAD is sending a loner controller… Oh well the only other complaint is the front stearing hinge makes a continuous cranky squeaky sound on both. Besides those two things I love them I get stopped all the time, people take pictures of it ? and ask about them. Thank you for the review. 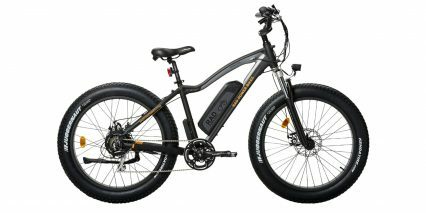 Were you able to test the bike on hills? 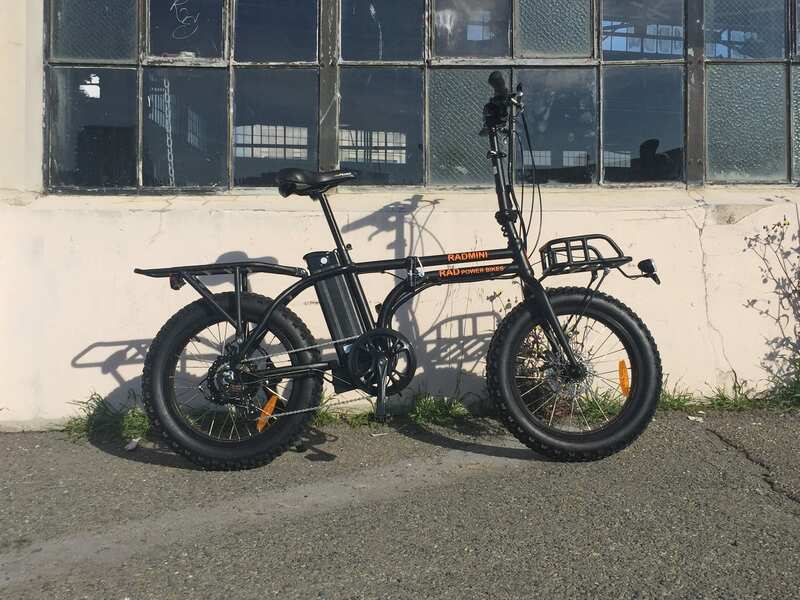 I am in San Francisco as well, would be good to know your experience before buying one. Hey there, I am just under 6’2″ tall. 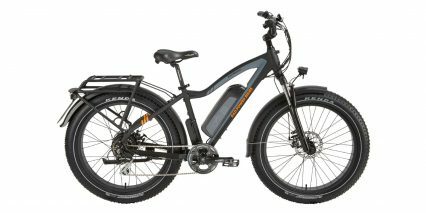 Will I have difficulty with this bike? Hi David! 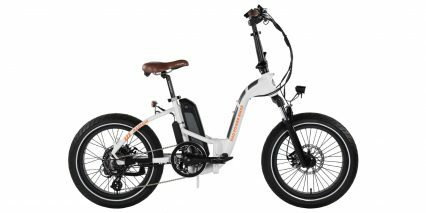 My opinion is that as with most mini and folding ebikes, there will be some compromise in terms of fit and comfort… but given your size it shouldn’t be too extreme. 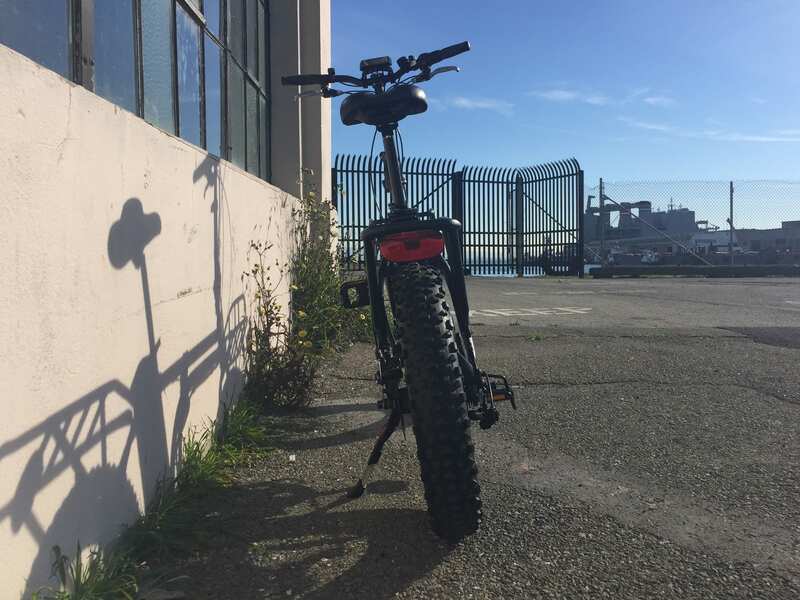 The RadMini has an adjustable stem so you can raise it and the seat can also go fairly high. Even if you’re not getting full leg extension, the throttle helps a lot and it could still be a blast to ride. Hope this helps, you might fair better with a full sized RadRover but then it won’t be foldable and I’m assuming there are other reasons you zoomed in on the Mini? Perhaps the ability to share it with your friends who aren’t as tall? I’d love to hear your thoughts. Do you think I should invest in a new longer seat stand? Like maybe 400 millimeters? Hey John, I measured the most recent 2016/2017 RadMini post length at ~320 mm so getting a 400 or longer might be worth it. 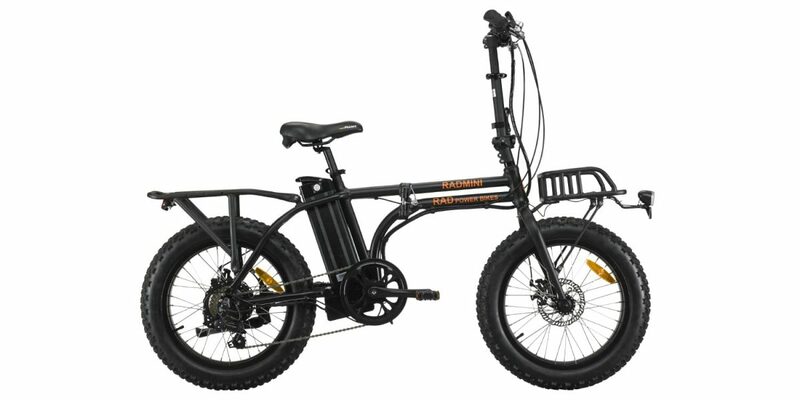 Many times folding bikes already come with longer posts but since this one is a bit larger to begin with and the collar is higher up I guess they didn’t feel it was necessary? Also checked that the latest version is still 27.2 mm diameter, here’s a post that might work at 450 mm length but is a little expensive. I saw some more affordable carbon ones when searching but wasn’t sure about durability.